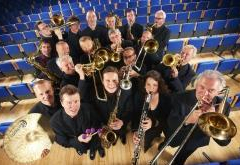 "Such a versatile jazz orchestra ... a brilliant musical force"
Join the internationally acclaimed BBC Big Band for a swinging programme of festive favourites! A real Christmas cracker of a programme, featuring big band settings of favourite carols and popular yule-tide numbers such as Let It Snow, Santa Claus Is Coming To Town and Mel Tormé’s The Christmas Song – and much, much more! 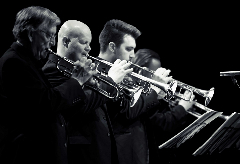 Plus a selection of sparkling Big Band classics to warm you up on a winter’s night. They brilliantly continue the tradition of Big Band music. As such they are important, as well as marvelous!